The Bachelorette couple JoJo Fletcher and Jordan Rodgers are still going strong even though they have no plans to get married in the near future. When describing her relationship with Jordan, JoJo noted to People, "It's dating!" "It's still fun. I still make him court me. He still opens the car door for me. We do date nights. I feel like usually we do date nights once a week but it's become, like, three times a week now. I love it," she gushed. The couple got engaged at the conclusion of The Bachelorette's twelfth season in Summer 2016, so Jordan and JoJo have been dating for about two years now. And they aren't letting others pressure them to wed before they're ready. "Life is just our own now," JoJo said, as she and her fiance are in no rush to exchange vows. "We have a life together vs. in the beginning when we were trying to blend my life with his life and kind of blending it together. But now it's our life and we're enjoying that together." Other couples from previous The Bachelorette seasons who have been taking it slow are Kaitlyn Bristowe and fiance Shawn Booth from Season 11, as well as Rachel Lindsay and fiance Bryan Abasolo from Season 13. While both pairs are still together and happy, there has been no public acknowledgement of a wedding in the works for either of them. "I was actually just with Kaitlyn and Rachel not too long ago, and someone else asked all three of us, 'When's the wedding?' And all of us were like, 'Who knows! We're just enjoying it.' So obviously it's working!" JoJo recalled. So wedding plans are on the back-burner -- but JoJo did recently say she has "baby fever." So will a baby potentially come before marriage? "I'm a new aunt and they are just so cute, so I think I'm good," JoJo admitted. "I got my fix. I'm good. So we can take a deep breath I think." 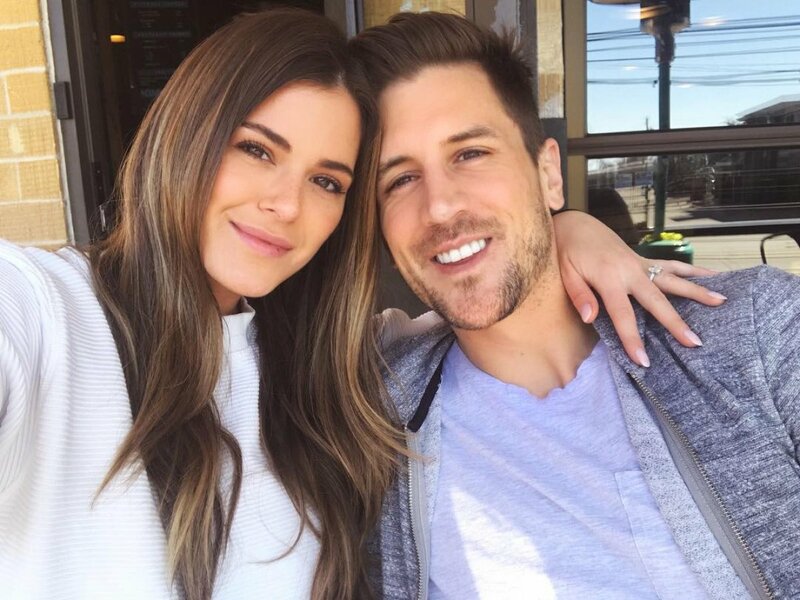 Although JoJo and Jordan aren't parents yet, the former The Bachelorette star predicts her future husband will be the stricter parent. "The only way I know this is because I watch us interact with my dog. My dog will do something bad, and I'll be like, 'Aww, it's okay!' But Jordan is like, 'No! You need to teach him.' And I'm like, 'You're so right.' But he's just so cute! It's hard. It's going to be Jordan," she said. JoJo and Jordan are currently enjoying their life together in Dallas, TX. They recently flipped a home together, and Jordan is still working as a sportscaster. Prior to starring on the franchise, JoJo competed for Ben Higgins on The Bachelor's 20th season and was devastated when she had finished as the runner-up. Ben and his fiancee from the show, Lauren Bushnell, announced their split in May 2017.